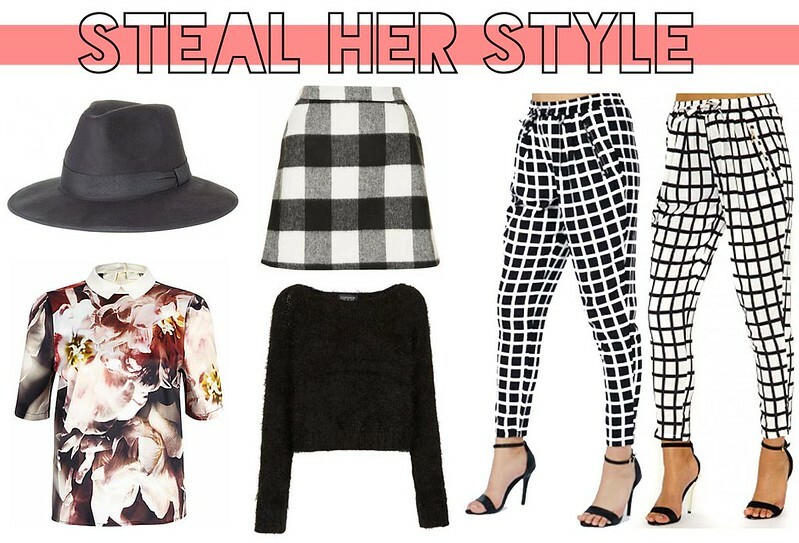 (L-RFedora Hat,Floral Print Contrast Collar Top,Gingham Aline Skirt,Black Fluffy Crop Jumper,Ramona Square Trousers in Black & Ramona Square Trousers in White) I love all of these items I've found to steal Perrie's style with. My favourite being the Ramona Trousers (suprise suprise) The floral shirt she's wearing and the tartan skirt are both out of stock on Topshop & River Island but I've found the next best things! 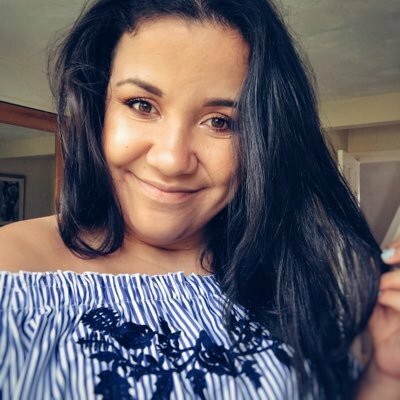 I think she's definitely one to watch for 2014 as her outfits always seem to be really on trend but also that little bit different! and hands up who's excited for the Little Mix/One Direction wedding?! What do you think of Perrie's Style? Especially loved her purple hair. I love perrie's style i love how its super versitile and comfy! Never really taken too much notice of her style but I love the first two outfits :) that skirt is amazing! I absolutely love Perrie's style! She is flawless! 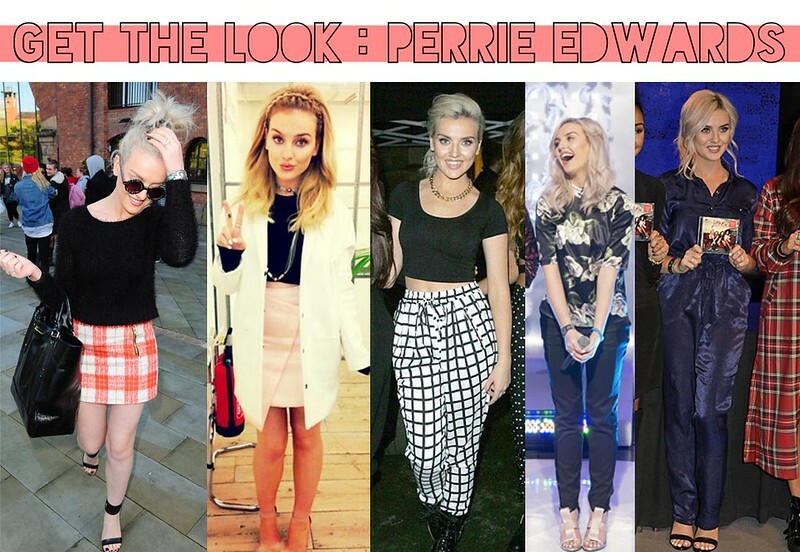 Perrie has such a great style, and I love how much she buys from high street too! I've been admiring her style for a while now, will have to take some tips for myself going forward.